When invasive thistles take root on land that you love and respect, you should take whatever action is needed to remove them and prevent a massive weed infestation from occurring there. 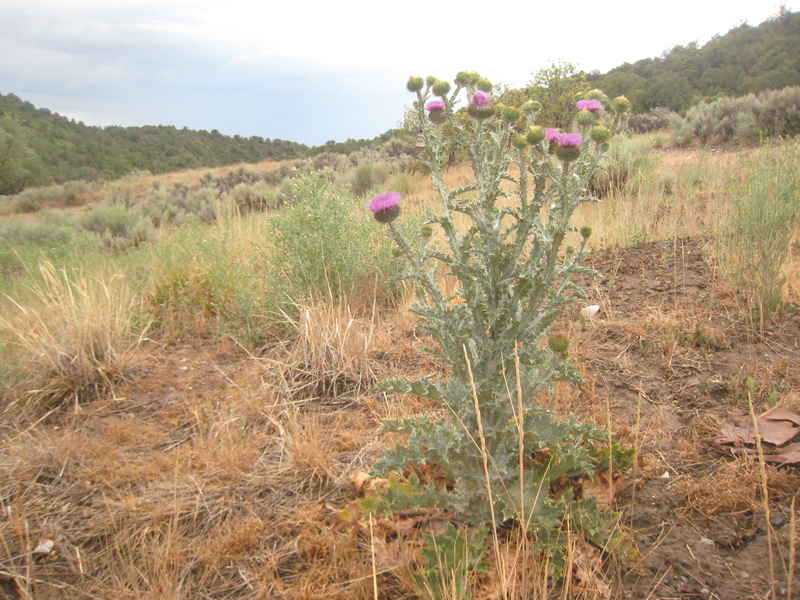 Removing Scotch and Musk thistle in Horse Gulch with a hand tool has been this blogger’s latest form of community service in trying to stem the growth of these nasty weeds and keep them from reproducing. Scotch Thistle is an extremely aggressive reproducer and can grow up to 10 feet tall. Kill it. After being given permission by Durango’s Parks and Cemetery Manager Ron Moore to remove the weeds, this blogger went up to the base of the meadow loop with a Rogue hand tool and dug up several dozen of them. The site that I worked on had been grazed on by some domestic horses last winter. One might have even been shot maliciously. The mare that was shot, however, was found on adjacent private property, and not on the property where this thistle-removal project was occurring. Someone let their horses overgraze this little piece of ground near the base of the Meadow Loop, and that’s where some scotch thistle was growing invasively. Owned as City open space, the land where I worked became more prone to an invasion of weeds due to the fact that many of the native plants growing there had been previously eaten by the horses. 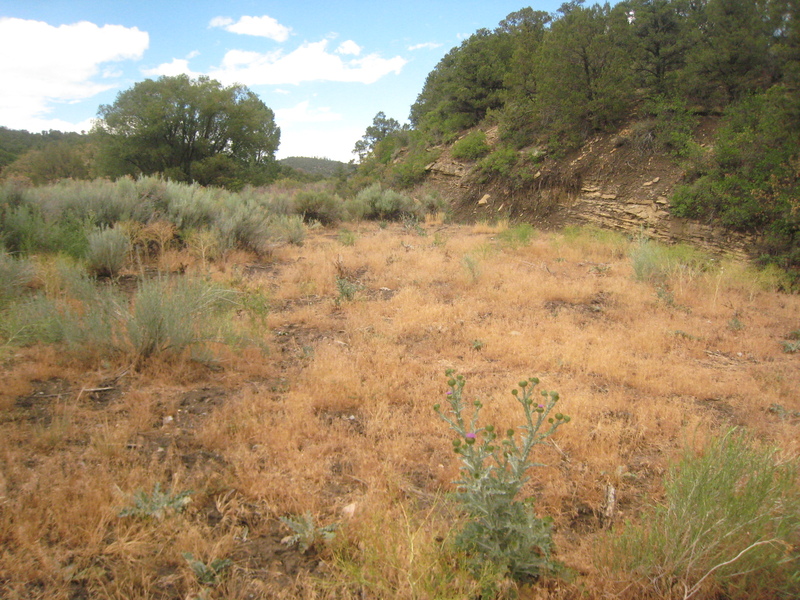 Yes, over-grazing can make lands more susceptible to exotic weed species taking root there due to a lack of more prominent native plant populations existing there and the disturbance of micorhizal fungi populations in the soil. This thistle-removal project will be ongoing and I’ll keep you updated as to the progress of my work to keep them in check.